Learn more about Green exhibiting and reducing your carbon footprint with "An Inconvenient Booth"
This 12-page report was produced by the Exhibitor Publishing Group, and sponsored in part by Skyline Exhibits. It's based on survey responses from almost 500 exhibitors and over 100 exhibit industry suppliers. Flexible exhibits that can be reused in multiple configurations were considered more Green. See how your peers and vendors perceive the obstacles and advantages of Green exhibiting. Fill out the request form below to receive your free copy. 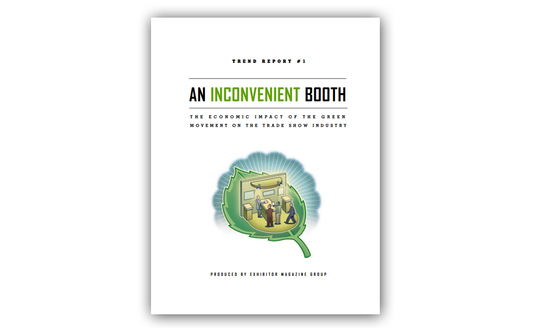 Request your free copy of "An Inconvenient Booth" today!